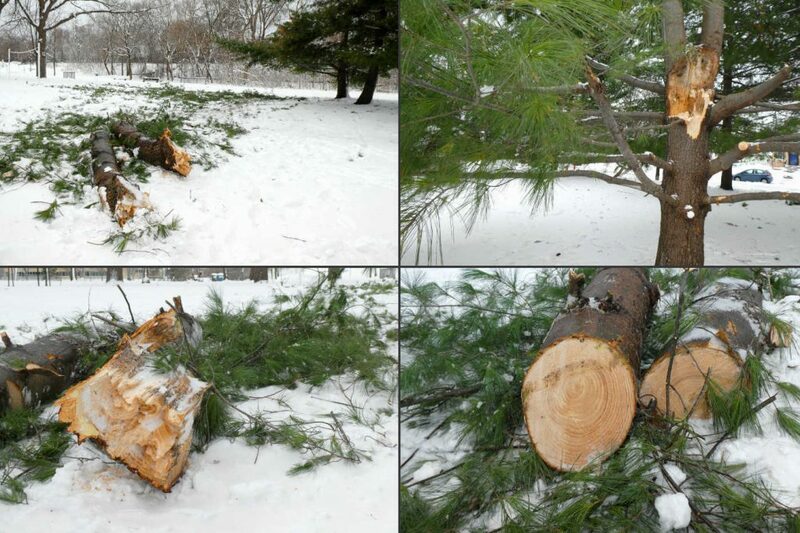 Winds gusting up to 50 mph with this April snowstorm snapped a tall pine in half in the northeast corner of the park. I counted some 28 rings on this split off the tree trunk. Surrounding pines along with half of this one, for now, still stand tall.